How To Find Multi-Bagger Stocks In The Market! 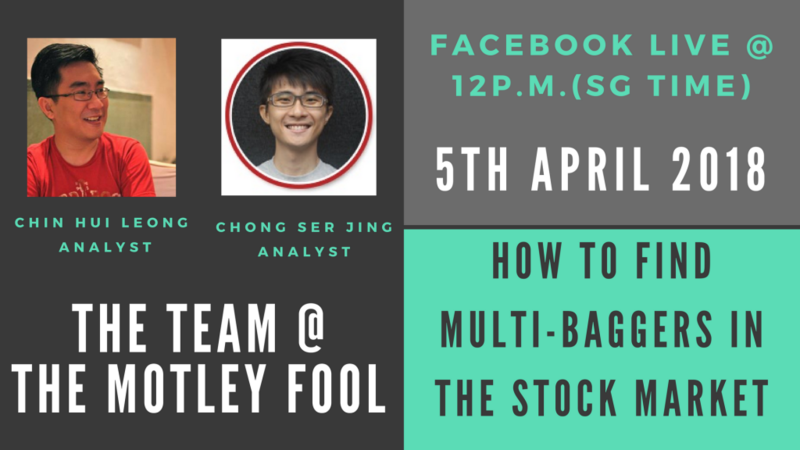 We had a great chat with Ser Jing and Chin from The Motley Fool Singapore back on 4th April 2018 during our April Facebook Live Event. Here is the complete interview with transcript. Enjoy! Stanley: Hello! Welcome everyone, this is Stanley from Value Invest Asia again. Welcome to our Facebook Live, April edition! Ask us anything; and today, we have two very special guests, Ser Jing and Chin from the Motley Fool Singapore. So, they are actually my ex-colleagues in Singapore, and we used to be some of the first few employees in Motley Fool Singapore, where we created (build up) the business together, and we always spend a lot of time chatting stocks, and always disagreeing with each other actually. But (only) at the beginning, but I think after a while, we kind of see each other’s point of view. So, today is a great time to chat with them to find a multi bagger stock in the market, and if you have any question, just feel free to ask down below, and we will try to pick it up. We also have many questions that are sent in to us, just thank you to all of you, we will try to go through them as fast as we can, without further ado I would like to welcome Ser Jing and Chin, hello guys. Ser Jing: Thanks for having us. Stanley: Yes, yeah before we begin, I would say most people know you in Singapore, but maybe our Malaysian audience might not be familiar with you guys. You want to introduce yourself, and maybe how long have you been investing, and how you get started in investing maybe, Ser Jing? Ser Jing: Yeah! Sure. So, maybe just a brief introduction about the Motley Fool. Well! So, we’re an online investment advisory company, started in the US in 1994, and in 2013, we came to Singapore, and Singapore is the very first Asian office that the Motley Fool has around the world. Yeah! So, I started investing, or rather I started learning about investing back when I was like 18 or 19, so it’s more than ten plus years ago. How I got started was that, I was learning economics in junior college, and I thought that what was being taught in schools was weird, and didn’t feel right. So, I wanted to look for people who actually really understood money and then, yeah! I went on the internet and then, I found people like Warren Buffett, and some of his mentors. So, I bought their books and yeah! The first book I bought was; Phillip Fisher’s common stocks and uncommon profits. So, that kind of like formed the intellectual, I would say framework for how I think about the stock market and all, because I thought that the book made a lot of sense, and then I actually started investing real money back in 2010; October 2010, so it’s been nearly eight years now. Yeah! Stanley: Nice and maybe a short introduction about yourself Chin. Chin: Hi! So, my introduction is not as exciting as Ser Jing [Laughs]. so, I started investing probably in 2002 also, so I started index funds, it was what you call a Bogle head, I’m a great supporter of John Bogle, low-cost index funds, and then somewhere around 2005, I decided that – I was little bit bored at work, so I decided to spend a little bit more time to learn about stocks, and around the same time I actually pick up a subscription for the Motley Fool in the US. So, I have been a member for good 12 years now, so at the start I tried many different ideas, the Motley Food subscription had a lot of different (ideas) – it’s like a good buffet, right? There’s so many nice goodies you can choose from, and I just wanted to try everything. Yeah! and but over time as the Great Recession came in, in 2008 or 2009 started in 2007 actually. Chin: Stocks fell by about 60% right on average. Chin: The index. So, it’s sort of like you have all these companies which are doing quite well prior to the Great Recession, and it’s maybe easier to do well, and you know that economy is doing well, but when the Great Recession came along, it was just a great clarifier that a lot of companies which weren’t as strong were really hit by the recession itself, and what was left was this set of companies. Chin: Which I – in the end, I decided to focus on, because these are the companies, at the time where you know, where people are saying that this is one of the worst recessions of our generation. These companies are (still) boasting growth, and I’m not talking about 5% growth. Chin: I’m talking about 15% growth, 20% growth, some even 30% growth. I just thought, hey! You know what? I want to focus on this set of companies. Stanley: Right! Amazing, that’s how you become – I would say maybe that the term most people use will be growth investor, but we also specifically create this topic today. How to find multi-baggers in the market? Because I cannot find any other one that is more qualified than the two of you to answer this question, because from our experience even though I talk to you guys for so many years. You know, Chin has multi-baggers more than 80 times his investment, and Ser Jing as well, close to 20 times his investment. we’ll share with you the stock that make them such great multi bagger investors, but along the way I saw some guys coming online; Krishna Hairani and Sean, welcome and if you have more questions you know, feel free to comment down below, and share this Facebook live with your friends. We also have – we will actually give you a good lucky draw today, we are – two lucky winners at the end of the presentation of this Facebook life. If you have a good comment, or been sharing our event, I will send you some of our books, and if you already have our books, or maybe send you some of my favorite investing books as well. Stanley: And not for the two of you. [Laughs] Going back to multi baggers, right? maybe we can start with some of the questions that they have sent in, I think people like; Arthur, Lee and Grace asked very good questions on can you share you know, when you’re looking for multi bagger, what are some of the characteristic of multi baggers, what are you actually looking for, maybe Chin? Chin: Okay! So, you left us some really big shoes to fill in. [Laughs] So, but we’ll try, basically, I think it’s important to first understand that looking for companies, which have the potential to actually increase by multiples of the time, it’s not just about you know criteria; A, B and C, and if they meet all three, and therefore it’s gonna be a multi baggers, it doesn’t quite work that way. So, I think the best we can do is, probably to sort of fish in the pond, where such opportunities are likely to appear, and I would – I think one of the characteristics for this sort of fishing pond, which I looked for as what our co-founder David Gardner says, but for the top dog, or first mover, and important, emerging industry, and there’s a few things to look for in this pretty loaded statement. Which is; it has to be something of consequence, the industry might be changing the world for the better, and we are looking for the top dog, which not necessarily means the biggest company in there, but the company which is right up ahead, either changing the industry in a profound way for the better, or actually really defining a new way to actually do things. So, being the top don’t means you’re right up front, you’re not trying to catch up with someone else, you are in fact the one leading the charge to this change, and I think however, where you look at you might be investing in a yahoo before, Google came along but even looking at the world of search through Yahoo’s eyes, I think you’ll learned a lot about the industry, especially if it’s true the eyes of the top dogs. Stanley: Alright! Okay. So, number one is; looking for top dogs in an emerging industry, so maybe a second characteristic Ser Jing maybe you want to share with us, what do you look for when you’re looking for multi baggers stocks? Ser Jing: So, I think another important quality that I try to investigate in a company is the strength of the management team, so this is actually one of the other characteristics that are David Connor looks for in some of his best investments. So, what I want to find is a management team that is – that I think it’s innovative, that is trying out new things, and that isn’t kind of afraid to upend, either its existing business, or upend its industry. I think a great example; one of the best, that I has seen is really Netflix back in 2011, Netflix was still predominantly a company that was sending out DVD by mail, and it was getting subscriptions for its service through the internet, but the management team actually saw that a future was actually on online streaming, and back then streaming wasn’t even actually a very widely used what, but management saw that this trend was happening, and then what they did was, they wanted to focus all their energies into online streaming, which was a pretty bold move, because the entire cash flow of the business was actually the DVD-by-mail service, whereas now they are saying that; hey! We are going to let the DVD by mail business go, and then we are going to focus entirely on streaming, and yeah! It has been a massive success in what Netflix has done. 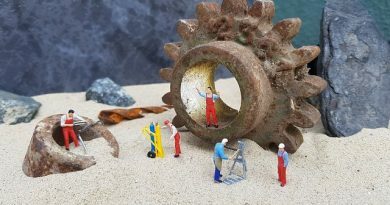 so, one trait I really look out for is, how far ahead can management – or rather how visionaries is the management team, are they able to anticipate changes, Or are they even the ones driving changes? Yeah! So, back in – last year during an investment conference that we held, one of our members actually asked us this question, she was asking us, do we think if [Unclear 10:15] was able to handle all these disruptive changes that are happening in the transport industry? My response to her was, it’s actually kind of tough to figure out if the company’s able to handle disruptive forces, it’s more interesting for me at least to think about, and more useful to think about the company strategy of their driving the change. So, Netflix is yeah! Netflix is another good example, because it’s out there pushing the changes in the entertainment industry, and forcing everyone else to kind of react to what it is doing. Ser Jing: So, and this also plays back into this top dogs, first mover advantage thing that Chin was talking about. Yeah! Stanley: Yeah, so definitely! So, number one is the top dogs in the emerging industry, and also visionary management, that is kind of, not be afraid to disrupt their own business, right? and grow in the future. Right! I actually wanted to ask you like give some examples, but you guys are kind enough to talk about Netflix, do you have another example maybe one that you recently have bought that is consider multi – in the opinion is a multi-baggers, maybe share a little bit about why you bought that stock, and what’s your rationale for it? Ser Jing: Sure, yeah Chin, I go first if that’s okay? Ser Jing: Yeah! So, okay this company is not a company that I had bought shares in quite recently, but I think I probably bought shares sometime in early 2017 or so, and that will be the online E-commerce Company called Mercado Libre, it operates mainly in the Latin American market. So, top dog, and first mover in the importer industry, right? so, Mercado Libre is actually the largest online, the largest e-commerce company in many of the Latin American markets, that operates in, and then when it comes to a visionary management like, if you check back at the history of what Mercado Libre has done, what they have essentially tried to do is, to remove the friction involved with e-commerce. So, they started out with an e-commerce platform, then they moved on to provide payment solutions. So, in Latin America; unlike in Singapore’s case right, and in Malaysia as well, credit cards are used widely, and it’s a common, and normal thing for people to have credit cards to be able to pay for goods and services online, but in Latin America, it’s not the case at all. So, it’s actually kind of difficult for people to actually make payments when shopping online. So, what Mercado Libre did, was to set up a payment solutions to help lessen this problem, and then the company also started a shipping solution. So, you know if you buy goods online, you actually need people to ship your delivery. Right? So, the company actually set up a shipping solution to help expedite the whole shipping process for the buyers, and sellers on this platform. So, like I’d look at the kind of things that Mercado Libre is doing, and it kind of gives me the sense that this is a management team that is talented, that is able to execute on its ideas, and able to see whether work was going, because back in – the company was founded in 1999 or 2000, which was right at the cusp of the growth of the whole internet economy, right? Like there was like a really kind of a signal to me that. Hey! Wow! This guys are really sort of like, they knew what was coming, and they acted upon it. Stanley: Right. Interesting! Mercado Libre, I think is listed in the US and the MELI is that right? Stanley: Okay, but before that. Wow! I think more and more people are joining us. Hi! Daniel, KC, Mahindra. Yeah! Sean; welcome, welcome everyone, Chin, maybe up to you. You have any interesting stuff that you recently buy, that is consider multi baggers you feel? Chin: Oh! That’s interesting, [Laughs] but I think one of the companies which I bought recently was a company called Veeva systems, so VEEV (ticker). What it actually provides is sort of a management system for pharmaceutical companies, or life science industry companies. Chin: And it’s a software as a service kind of provider, so they actually subscribe to the service, and it provides software to help you manage your clinical trials, your marketing. So, actually a whole range of whatever activities you need to do in the pharmaceutical industries; a product like this actually is not say special, because I think one of the first people who are able to popularize the idea of software, as a service actually is a company called Sales-force. Chin: But what was different about Veva systems is, I think that they try to provide the service which is specific for the bioscience industry, because if you provide a product which is sort of generic, the idea; that is the penetration within individual industry it’s not gonna be significant. So, my top up and around 10 to 15%. Chin: But if you have a particular solution for the entire industry, specifically for the industry itself, and I think for the life science industry is particularly useful, just because of the very heavy regulation which goes into it. Chin: And the importance of the data, because you’re talking about data, which you’re gonna use potentially in the future to apply for patent, which could be worth billions of dollars. So, its handling really important data, it’s the first model within that space, and they are locking in a lot of people in that space. So, I think that’s – you’re the first mover in a space, and people are handing over, and keeping your important data on your service, and as a recurring revenue, I think it might have the potential, I would never say it’s definitely gonna be a multi baggers, but it has characteristics which I like. Stanley: Right! Interesting! Okay. Well, this is a stock that I have not studied a lot on, but I think Sean has a question for you guys. So, if you’re looking at all these, you know top dogs in emerging industry, how do you find information you know, of this industry, and products, and services, where is the place that you actually dig up information about the industry, and you feel that the industry is actually growing, where do you source for this information? Chin: I will go first, So, I think one of our members did ask us this question before, he want to learn about [Unclear 16:36] industry for example, and that is actually quite broad. Nowadays it’s more and more difficult to define what [Unclear 16:47] is. Chin: But my answer is you know, look at the top companies within that space. So, your Facebooks, your Amazons, your Apples, your Googles or once they call themselves now helped a bit, and when you follow those companies, and if you really see that you know, if everyone is going into AI for example; or everyone’s trying to create their own self-driving car, it’s not a sure thing, but if you know four different top dogs are looking to enter specific, or move in a certain way, I think there’s a pretty good chance that the industry will probably move in that direction. Chin: And that really I think gives you a view, which I mean if it’s in a university paper then probably it’s already happened, right? Chin: So, if you want to look for things which are happening as we speak, I think the best that you have is really look at the top dogs in that industry, and try to view the industry through their eyes. Stanley: Right! Interesting! Okay, for Ser Jing; I think for your Mercado Libre investment, I think Krishna is asking you. Yeah! Is good in right now, but he’s asking, is Amazon moving into Latin America? And if so, is that a big threat to Mercado Libre, how do you see that? Ser Jing: I shall not comment on that, yeah where was I? Ser Jing: Yeah! so, Amazon has had a long history of trying out things that have not worked out, so it may or may not succeed in Latin America, but I think the most important thing is to actually look at, the potential size of the market, Latin America; the penetration rate of online retail versus the total retail market is I believe somewhere in a region of three to five percent. Ser Jing: So, they are still – in my opinion at least, there’s still a huge room for company like Mercado Libre to run. Yeah! Ser Jing: Hey! Yeah. That is a possibility. Stanley: Okay. That’s very interesting. Okay, I think Sean has a very interesting – a good question, which I have struggled for many years as well. So, I think he feel that when you find multi baggers right, how can you convince yourself to stay invested in the company for the long term? You know, because when you see your own shares for you know, when up 80 times change, how is that emotion, how do you control that emotionally? When it drop back say, and other 10%, you’ll be losing like you know, seven or eight baggers within it. So, how do you control that? Chin: I think I face this sort of conundrum back in 2011 or so, I think by then Netflix was maybe a 10 bagger or so. So, I just sort of convinced myself that there’s three ways that this could go, or call it two ways. One; it continues to go up, which in that case, I don’t think there’s anything to worry about, right? And it’s also important to think that really good companies often surprise on the upside. So, a lot of times, we are conditioned to think of what could happen on the downside, but I think for me at least, I think it’s also reasonable or more balanced to actually think about upside in as well what could actually happen, speaking for Amazon for example; the AWS business, I think they only reveal the details of it, I want to say 2015. Chin: Oh! Recently, not too long ago, and until then you had no idea how big this business is, and how fast it’s actually growing? So, out of the blue, things which are not visible in the past become visible, and that’s an additional value to the company, right? And on the other hand, what if the stock goes down, right? and I just convinced myself that if I hold a company for five years, whether the outcome is good or bad, I feel that the learning which I get from following the company throughout this period of time, and hopefully I hold it for you know 20 years. Netflix itself, I’ve held for 11 years so far, so I feel that the lessons you learned from actually holding a stock for ten years, or five years to begin with, will actually be far more valuable than whatever lesson which you can learn out there. I think multi bagger is a bit about pattern recognition, understanding you know what could go right, and what could go wrong. It’s not a perfect odd, but then I think you can sort of tilt the odds in your favor. Chin: As you hold stocks more and more long-term, and I for one am unwilling to hold a company too long, have it go down, because the maximum you can lose a hundred percent, but if you hold on to a multi bagger; for in my case, which I got pretty lucky on Netflix. Now, we can go up by eighty times. Chin: Dissolves whatever losses you make. Stanley: Yeah! Interesting. Okay, I think your main concept here is to have a kind of like a lock-in period. Well, once you decided to buy you know, lock it in for five to ten years, and don’t look at it regardless of how the price movement goes, and then just review your investment after the five and ten year period is that right to say? Chin: Oh! You can do that also, that’s a pretty good idea, I’ll go back to what or maybe a good idea is, what other co-founder actually said before, do you want better results? Think about doubling your holding period. Yeah, and I think the main thing here is, investing as a marathon, you’re not investing to make money immediately, but you also constantly learning a – I may have decided that you know, this is the approach I want to take, but it doesn’t mean that I’m not interested in other stocks or ideas, I’m still learning and testing different styles, and try to make myself better as an investor, and I just feel that by holding stocks for long term, understanding the sort of different seasons that a company actually goes through, that the kind of problems which proved to be going know, although most of the time, the kind of problems which kind of fade away after a while. you know, you do learn a lot, and I think about for the case of Amazon for example, just to bring in an example; sales taxes for example was brought up in 2011, and it actually didn’t have any impact on them, but back then it sounded like, they’re gonna lose the entire competitive advantage which turned out to be not true. So, I would really encourage everyone to really act based on real business happenings, rather than to speculate on what could or could not happen. Stanley: Yeah! Definitely. Alright, I think we’re almost half way through our interview. just another reminder, we’re having a lucky draw today you guys, if you are you know, sharing that the Facebook live, and giving good comments, I’ll sent – I’ll pick two lucky winners, and send some of our books over to your way. Right? Remember to ask your question away, and Ser Jing, I’ll put you in the spot right? When you about good successful multi baggers that you have made, maybe can you share a little bit of some of the not so successful ones, some of your failures? Right? Well, when you first invested in it, you feel it’s a multi baggers, but then you know, what happened, what went wrong? Ser Jing: Yeah! Sure, maybe I’ll try two examples; one US Company, and one Singapore Company. The US one will be actually GoPro, so GoPro actually had a lot of the traits that I was looking for, I thought that the action camera market which GoPro sort of single-handedly started, was a – kind of an important thing, people are vain, people want to showcase all their adventures to the road, and GoPro trying – was enabling that, and they were building sort of back then a best-in-class of products to fulfill that need, and I watched a lot of interviews, and read a lot of interviews that GoPros founder, and the name is a Nick Woodman. Yeah! Nick Woodman. So, I tried to try my best to learn more about Nick Woodman, and I was very impressed with the kind of vision that he saw for GoPros. So, but the investment didn’t work out in the end, I mean I’m down like, I think eighty percent also on it, and it’s not such a small position that I don’t bother much about the company anymore. [Laughs] Yeah, so I think one of the – where the investment went wrong was, that GoPros products were, I think they were built a little too good in the sense that, there’s no kind of – there’s no recurring element to it, because what I realized with a lot of really good businesses is that, there’s a certain recurring element to their businesses right, like if you look at say; Starbucks, or reference Medical Group, which are both multi baggers over the past decade or so. they are companies that provide services that people have to go to often, or in the case of bagging coffee you go in, the case of seeing the doctor you hopefully don’t have to go that often, but you know when you’re sick, you do have to see a doctor, and all that, and then you go for your annual health checkup in one month. So, yeah! There’s a second recurring element to the kind of revenue streams that are really good companies has reversed. in the case of GoPro, it’s the kind of product I would go by once, and then like you may not purchase for the next five years or something, because the cameras are just so hard, right? And then the company also had this our promise that they wanted to become a Content company, so he wanted to sort of monetize all the GoPro, all the content that was shot on a GoPro cameras, but that didn’t work out. So, I think there was more of an execution issue, so yeah kind of a few things that conspire to break the investment thesis for GoPro you know in my case, and then for the Singapore Company; it’s actually Sarine Technologies. So, it’s a company that makes equipment that diamond manufacturers use, all the way from the planning of raw diamonds, to starting a polished diamond, and this is a company that I’ve lost, I think 50 or 60 percent on and the reason is, because the diamond industry is actually kind of inherently cyclical, because the I mean you know, diamond it’s not exactly a commodity, but in the rough sense of the word. So, the prices of diamond are inherently unpredictable, so it’s kind of like the way that commodity prices move, which is a way that is unpredictable, and so I thought, that what I thought was that Sarine technologies, due to the nature of its products and services, it holds a 70 percent market share actually in the kind of market that operates in. so, I thought that the company with his dominant market position, and its innovative spirit because over the past decade or so, it has introduced new products and services, and iterations of existing products and services nearly every year. So, I thought that this innovative spirit, and the entrenched market position, the company were actually anybody to sort of write out the price the cyclicality of a diamond prices turns out. I was wrong the company was a lot more susceptible to price fluctuations in diamonds, then I thought it would and there was even after the company introduced a recurring element to its service, so I think a big lesson learned there is that, I’ve become even more wary about companies that actually depend on the price movements of commodities for their business. Stanley: Ah! Interesting. Okay. Wow! I think Grace is asking some good questions. Grace is asking a lot of the multi baggers that we talked about I still you know, in the US market or starting out in in the Chinese market as well, but can we find such multi baggers in Singapore and say Malaysia? And the second one she’s asking is, when your stock go up, you know how do you decide when to add to your position, or not add to your position? Maybe Chin you can answer that. Chin: So, I think it just boils down to one of the fundamental beliefs as an investor, when we are not looking at the stock price itself. We are looking at the business, and we really focus on the company business developments, and actually making decisions to add to whether it’s you know, when the stock has gone up or gone down. So, I think that’s really key, it’s something very basic, but I think that oftentimes when you have a company stock which goes up, in one case 200 percent for example, then of course, I don’t feel like want to sell it to lock in your gains, or to actually sort of tie it down a bit, but I think that the best advice I have is always water your flowers, [laughs] and not your wheat, I think that every person who has a multi baggers if you ask them. How it feels? One of the first things they’ll say is I wish I bought more, [laughs] but they think yes you could have bought more, because multi baggers don’t happen over a period of one or two years, typically they happen over a period of 10 years. Chin: And really, if you think about it, if it’s the company which you understand the best, and really understand how the business is developing since you held it longer and longer, it might make sense you actually add to it on the way up, especially when you find that it’s expanding into new areas. For example, in the case of Amazon as they expanded in AWS, it’s a business completely on its own, they believe it’s gonna be as big as their retail business, and that’s a tremendous signal that this company is gonna be much more valuable than it is in the past, right? So, in summary we’re really looking for developments which would add tremendous value to the company, when we decide to add on the way up. Ser Jing: Yeah! so, basically you know, I think you are trying to say that we should always focus more on our winners, and stocks that really giving us our advantage, because I think a lot of people might have this assumption I think, Victor asked this question as well you know, how do you stay on your conviction, when multi baggers – where stocks can revert to the mean? which if you don’t mind, I think that that might be a misconception, because a lot of stocks don’t really revert to mean, and a lot of multi baggers that we talk about here; the Amazon, or Netflix, over the past 10, 20 years. they did you know, the stock chart has actually been continuously growing, and even company like Microsoft, when you think about it is not very intuitive for the past few decades, but it’s still very long multi baggers. So, that’s something for us to look at, I think Tantien Huei is asking yeah maybe Ser Jing can take this one. Stanley: Hmm. What sector do you think is best when you look for multi baggers, and what maybe what is the next multi bagger that you’re looking for? Right! Do you look for and do you look for it now in IPOs? Ser Jing: Okay, a lot of things to unpack. So, let me talk about the IPO question first. In general, I try to stay away from IPOs mainly, because it’s hard to get a sense of whether or not management team will be able to treat minority shareholders fairly. So, and as Chin mentioned earlier, if this stock is, it’s a good company, is a great company, then you know, you will definitely have time to be able to buy into it as the company grows. So, yeah! I’m willing to wait for more confirmation, so in general, I don’t really spend too much attention on IPOs, as for the sector’s right? so, I’m generally a bottom up investor, in the sense that, I don’t look at say, I don’t try to think of what sectors are, I don’t try to look at sectors, and find companies in there. I’m more like trying to find good companies, and then I try to assess the competitive position of the company, and what it is doing, and whether or not it’s able to grow, but I do kind of agree that also that you know, there are certain areas that I find to be really interesting, and that could potentially hold pretty big amount of growth up. 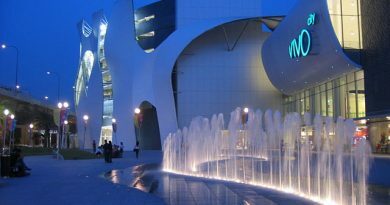 So, a few examples right, let me give one Singapore example, one Malaysia example, and one US example. 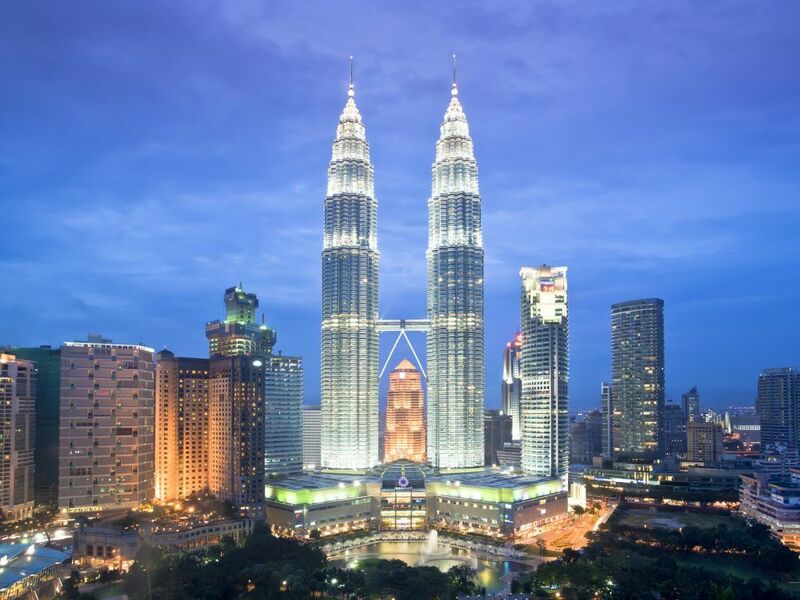 So, the Malaysians; the Malaysia and Singapore example actually both belong to the same industry, and that would be Rubber Gloves, so in the Singapore market, we have Riverstone, in Malaysia, we have Top Gloves and a few others, and so the Rubber Glove industry is actually a pretty interesting one, because of this a really strong, recurring element to the revenues that companies can earn there, because rubber gloves are inherently disposable. You use them once or twice, and then you have to discard it, and then as the population increases, as the months for electronic manufacturing increases, as demand for health care services increases, there will be this strong and sustained growth in the demand for rubber gloves, and this is where companies are. Riverstone and Top Gloves can both take part in, and both companies have actually done really well. in terms of both business performance, as well as stock price, since that listing, top growth has a much longer listing as compared to Riverstone, but both have been really strong, multi baggers as well, so and both ours also [Unclear 35:20] with just another trait I appreciate. So, yeah that’s one, and then for the US, I think a pretty interesting sector that I am looking recently is – yeah, genetic analysis. So, it’s more like studying vieni, and I think it’s really promising, because we could be entering the era of precision medicine very soon, and to be able to do precision medicine, we will actually require a much stronger capability, in terms of analyzing DNA, and one company that is – I think doing phenomenal job in this area would be Ilumina. So, Ilumina actually builds machines that helps laboratories around the world, and hospitals around the world to analyze DNA of all kinds of organisms from simple single-cell organisms all the way to like humans, and large animals, so the company has been a strong driving force in terms of driving down the cost of the sequencing. So, I think I don’t have to exactly, because I don’t have the thought in my head, but I think sometime in the probably the late or mid 1990’s, the US government set up this Human Genome Project, it was a 15-year project with a three billion dollar budget to actually study one single human genome, which is the entire DNA of one person right? And then, so the project, it was completed with about 2.3 billion dollars. So, a huge amount and it took them I think 13 years, so it was to within the budget, and time frame, and the amount of money spent, but today right? You can actually we are on the cusp of the thousand dollar genome, and a genome can actually be analyzed in a matter of days. So, tremendous improvements being made over time in this area, and mostly been driven by Illumina with the improvements, that has been making in its technology, and so what I see is, that I think as this DNA analysis technologies become cheaper and cheaper to use, more and more use cases will likely pop up, in the area of precision medicine, and even consumer genomics, you know like this company 23andme in the US, which is trying to analyze ancestry and all that. So, I think there could be very interesting use cases for DNA analysis popping up, as the technology to analyze it becomes cheaper over time. Stanley: Wow! Interesting! Definitely! You are giving me ideas as well. [Laugh] So, I’m writing this down okay. no, but this is a lot to process, I think even for say, someone who is just starting out in trying to find multi baggers in the stock market, or maybe just want to add some of this growth company in the stock market, how would you, maybe give them a sense on your say hit rate of all the multi baggers, that you hit generally you know, how many percent should we be expecting that we are we gonna lose money on it? Chin. Stanley: Because it’s impossible that, you know if we’re actually investing in this kind new industry, it’s very highly unlikely that we’re gonna make an investment all the time right. Chin: Right, I’m trying to think what percentage it is in my portfolio. Stanley: Yeah, that will be good. Stanley: Sorry 10 percent losses or what? Chin: 10 percent of your picks up probably in lose. Stanley: Okay! That’s very high. Stanley: Just tick it down. Chin: When just say I lose money. You can either say lose money or lose to the market, right? Stanley: Okay let’s simplify it, we don’t talk about the monetary returns, we just say that you know of ten picks, how many picks would actually lose money in your experience? Chin: Okay, before I go, there I think there are ways to actually limit the amount of Reza, so even within the world of what we like to call as growth investing, there are safer ways to invest, you can invest in companies which plenty of free cash flow, plenty of cash, and I think your probability of actually making a loss based on that, become substantially reduced, so long as you know the position which they have is sustainable right? Chin: So there are safer ways to invest within the growth, and maybe by playing it more safe, you might limit the amount of returns you might actually get, because you’re not actually trying you know, the crazy ideas, like DVD-by-mail and years ago, but on the other hand, I would see one or two probably would one do as well at least. Chin: Probably three or four fail to the market. Stanley: Right okay, so about half of it will not really reach the type of expectation that you might have right? Chin: Yes. So, I think Peter Lynch was the one who said that if you get six out of ten of your picks correct. Chin: You’re actually doing quite well. Chin: So, I believe that ratio is pretty accurate. Stanley: Right! Okay. Yeah, I think we’re running a little bit over time, but it’s okay, let’s try to talk a little bit more on the current things that’s happening in the market, I’ll ask you Ser Jing, what do you think – should investor be worried about say the possible trade war, or this just destruction, how do you see that when you’re looking at your own portfolio? Ser Jing: Okay. So, recently I read this really brilliant article written by a journalist and author called Roger Lowenstein. So, he actually looked at Berkshire Hathaway, some investment returns in stock market performance all the time, and guess what? Over the past 51 years, right! Berkshire Hathaway’s book value per share has increased by about 19.4% per year, that’s over the past 51 years or so. Since 1965, so I don’t even know, how many crisis the world has gone through since 1965 right, like condors and guess what is the compound annual growth rate of Berkshire Hathaway stock price take a guess? Ser Jing: Chin? Yeah! So, Berkshire Hathaway stock price has compounded at 20.4%. so think about this, 19.5% book value go free, and then you have a 20.4% stock price increase, and these two figures match up really nicely, and I think it’s a perfect example of how like you know a company. If you have a good company, and you focus on these business developments, and then all these worries about you know macroeconomics, about politics, about trade walls commodity price movements, and all that. All these just kind of waters away over time, and the butcher had an example, it’s a really good kind of reminder for me that you know over time, it really is the fundamentals of the business that drives the stock price performance, and so to answer the question. Yes! the trade wars are something to keep an eye on, but it’s not going to heavily affect my investment decision whatsoever, I mean of course, if it’s a company I’m looking at that is, say producing steel then that could be something that I’m kind of concerned about, but then the question becomes like, will these people be a permanent thing, or is it gonna be a temporary thing, I can’t really answer that, and so, and then my thought process will become, how about instead of looking at the steel company? I try to look for a company that has a really kind of a clear ability to grow over the long term, and then that will bring me to area, and in the world where I think there’s a kind of a clear secular long-term trend happening. Stanley: Interesting! So, no matter what, stay invested. Chin: Well, what about it? Stanley: Okay! So, there’s a lot of media attention on Facebook, and is it the kind of stock that you will consider is a multi-bagger stock, and would you consider you know, what’s happening now, just something that is temporary, or something that’s more structural? Chin: Let me check where is this hosting this interview on? [Laughs] so, I think Facebook is the kind of company where you cannot name the Pepsi to the Coke. So, if you have a company like Coca-Cola, right! And if you ask to name a competitor, the immediate name you’ll come up with will be probably Pepsi, right? But if you have a company like Facebook, and if I were to ask you to name a social media company, which is the second player, most people struggle to find a name. so, should we be concerned about this recent kerfuffle which they have, I think there are some serious questions being asked right now, will there be regulation maybe, but in the end I think where do people want to go, where do you have two billion users, who majority of them actually logging on every day, and have this kind of engagement? So, I just think that, yes it probably be a concern, but I think over time will be shown to be a short and consoling. Stanley: Right! Very good! I think that’s all we have time for, we actually still have many questions, I have to apologize to say Karen, KJ, William, Quan, who have sent in the questions, I’m sorry we couldn’t finish all of them. Hopefully, we can get these two guys back again very soon, how about that? Right, [laughs] but it has been a pleasure talking to both of you, and thank you very much, I’ll see you very soon. Ser Jing and Chin: Thank you very much.